How often have they published a list of all the climate science predictions that have held up over time? Not once, to my knowledge, has WUWT published a list showing things like, temperatures will continue to rise while we keep burning fossil fuels, or seas will continue to rise, ice will continue to melt and so on. All of which is happening. Nor, to my knowledge, have they bothered to publish a list of all the ridiculous failed predictions of deniers. It is common for deniers to predict a coming ice age, that the world is about to cool down, that the communists are about to take all our money and property and throw us all in concentration camps, and that we're about to enter another Maunder minimum and freeze to death. All failed predictions so far. To qualify for this list, the prediction must have failed. Alternatively, it is also considered a failure when so much of the allowed time has passed that a drastic and improbable change in the rate of change is required for it to be true. His list doesn't pass his own test. Here is an example of Andy May's uncritical denial of science (which he credits to someone called Javier). This is the very first item in his list, so you can imagine what the rest of them are like. The estimate is for the next century (now this century), not the first 17 years of what was then the "next century". Andy is short a whole 83 years. The limits of the estimate, including uncertainty, are from 0.2 to 0.5 C (See comment from William Connolley below.) are from 0.1 C to 0.8 C a decade, which is a rather large margin and the observed increase lies well within this range. The estimate is 0.3 °C per decade. Since the beginning of this century, if you just compare the two years 2000 and 2016, the temperature has increased by 0.6 °C (an anomaly of 0.4 °C for 2000 to 1.0 °C for 2016), and that's only over 17 years. That would be higher than 0.3 C a decade. 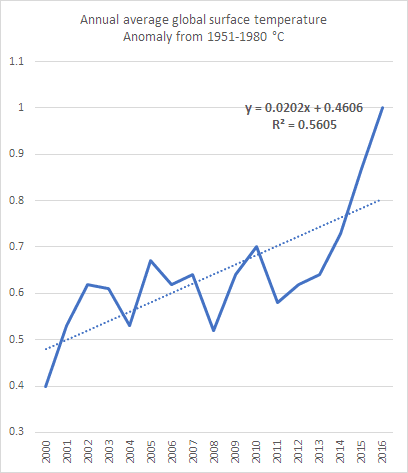 If you take a linear trend from 2000 to now, the trend is 0.2 C a decade. This is well within the uncertainty range predicted under the scenario chosen by Andy May. The scenario Andy chose, from the three scenarios included in the first IPCC report is the wrong one. It assumes a higher rate of CO2 growth than has actually occurred. In Section 5.4 of FAR, it states that Scenario A assumes a doubling of CO2 over pre-industrial levels by 2020. That is, instead of CO2 being, say, 418 to 420 ppm by 2020, which is around what would be expected based on current levels, it assumes 560 ppm. If Andy was not trying so hard to please WUWT deniers, he would have compared observations to Scenario B, which included an emissions growth closer to what has happened. That prediction was 0.2 C a decade, which is the rate that has been observed for this century so far. In other words, even back 27 years ago, and despite all the caveats the scientists put on their predictions at the time, the scientific estimates have turned out to be remarkably close to what has been observed so far. Deniers at WUWT are unable to understand science, unwilling to try to learn about it, and resolved to deceive whoever is willing to be hoodwinked - that's as bad a combination as you can get in a human being. I don't have the time, and I don't expect you have the patience, to bother with the rest of his not failed predictions. With a couple of exceptions where he singled out people who got a bit over-excited about declining Arctic sea ice, his list is an out and out failure. Either he's complaining that what was predicted by the end of the 21st century hasn't happened yet, or he's misrepresenting what has already happened. Make your own prediction for, say, the coming decade. Hopefully I'll still be around in 2027 to check how it goes. Compile a list of predictions made by scientists, which are coming to pass. I think you've misinterpreted the FAR, though admittedly it isn't clear. They don't mean a range of 0.3 - 0.2 to 0.3 + 0.5; they mean 0.2 to 0.5. See graph on page xxii, though it isn't that easy to interpret, but (6-1) = 5; (4-1) = 3; and (3-1) = 2. Oh, you're probably right, William. Thanks. I'll correct the article. "Similarly, scientific uncertainty is hardly mentioned; when ranges are given, as in the projected temperature increases of 0.2°C to 0.5°C per decade, no probability or likelihood is assigned to explain the range"
"Nor, to my knowledge, have they bothered to publish a list of all the ridiculous failed predictions of deniers." But let an actual scientist phrase something unclearly, or misplace a decimal point just once, and it becomes clear evidence that all climate scientists are liars. I've never seen a claim anything like "all climate scientists are liars", at least not from a scientist. Have you? That has been the constant theme at WUWT since the site was created. And it is not just climate scientists: it is anybody whose field leads them to observe symptoms of climate change. But even WUWT makes some exceptions, although - and this is strange - the scientists they excuse tend to belong to fossil fuel industry funded fake institutes, foundations etc etc. I think the word "desperate" comes to mind when looking at the two posts dwieland makes. Some weak idea about the difference between "could" and "would"? And where has he been if he has not seen accusations of climate scientists being liars? Surely he has visited WUWT? Presumably he will invoke plausible deniability and hide behind his use of "all" and "scientist". It did get me to wonder how long it would take to get an example to counter his claim. Well, to be honest longer than I expected, but then I did get bored after about 30 seconds. However in that time I did come across a book called "Liars and Deniers" by someone called Feltsin. I think that title quite clearly divides the world into those who deny the science and the rest who are liars. I do not know if the denier Feltsin is a scientist but he quite clearly thinks he is qualified enough to comment and write about the subject. Quoting IPCC AR1 Scenario 'A', which at the time was indeed labelled BAU, as THE IPCC projection, even though it has CO2 at around 425ppm by now (Annex - p333 in the pdf) is of course a favourite zombie argument of Christopher Monckton. Scenarios B&C match CO2 reality much more closely, and the associated temperature projections are pretty good. A remarkable success, in other words. "According to Dr David Viner, a senior research scientist at the climatic research unit of the University of East Anglia, within a few years winter snowfall will become "a very rare and exciting event". "Children just aren't going to know what snow is," he said." Note that the timescale is added by the journalist. Was such a short quote ever so misused? This claim is completely at odds with what the science was actually saying at the time, which Viner would have known. But hey, when a filler opinion piece by a business journalist is all you have …. "This week, after reviewing his own new data, NASA climate scientist Jay Zwally said: "At this rate, the Arctic Ocean could be nearly ice-free at the end of summer by 2012, much faster than previous predictions." (My bold) The quote is from 2007, when the ice cover basically fell off a cliff, Zwally is stating what could happen if the decline continued at the same rate. 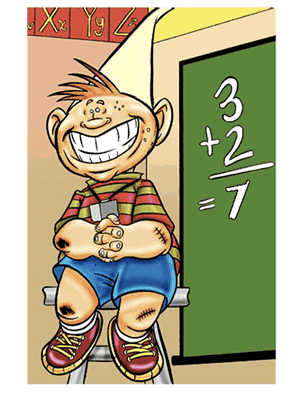 Misrepresentation, selective quotation, counterfactuals … very few genuine failed predictions. Situation Normal. Oh, and welcome back to the fray, Sou. But why did Zwally say "could be" rather than "would be", which would be the usual wording for a projection based on the rate? I'm sorry, but when did "would be" become mandatory? Are you seriously suggesting there is some sinister purpose behind using the word "could"? As far as I can see the use of the word here merely underlines the fact its a hypothetical and not a real projection. But then I would not expect a scientist to be so precise in their speech as I would your typical grammar nazi so its all remarkably irrelevant. Jay Zwally, not Joe. Ooops. This is a bit off topic, but be prepared for a year with a big jump in sea level. On Nov 3, the WSJ published an opinion piece by Steven E. Koonin that claimed that the U.S. Government's Climate Report was misleading in regard to sea level rise. Well, the misinformers have a terrific record of being dead wrong with their cherry picking based on short term trends. The "pause" came to an end with the arrival of a strong El Nino and three record years of heat; the Antarctic sea ice increase mime was followed by record low Antarctic sea ice this past year; and the lull in hurricanes hitting the U.S. East Coast story was smashed to bits this year. So, I confidently predict a record rise in global sea level will occur within the next few years. ofc. the number one prediction that just about every climate change denier signed up to at the time was that global cooling started in 1998. 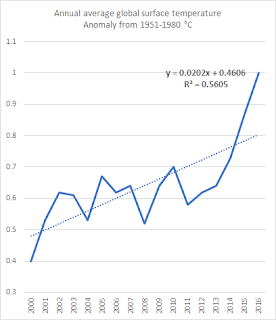 Temperature rise per decade should be heavily -ive if their predictions were correct. Odd. Not a cooling trend to be found. It's almost as if they cherry-picked a then-record warm year, focused on statistically insignificant short term variations, and haven't reexamined their talking point for many years.